Smoking increased a woman’s risk of a heart attack by 55% more than it increased the risk in a man. HIGH BLOOD PRESSURE, smoking and diabetes increase the risk of heart attacks in both sexes but have more impact on women than they do in men, a new study has found. The study, published by the BMJ today, outlined that men are at greater risk of heart attacks than women overall. However, several studies have suggested that certain risk factors have more of an impact on the risk in women than in men. To look at this association more closely, researchers examined data on almost half a million people enrolled in the UK Biobank – a database of biological information from British adults. The 471,998 people had no history of cardiovascular disease, were aged 40 to 69, and 56% of them were women. Over an average of seven years, 5,081 people (29% of whom were women) had their first heart attack. This means that the incidence of heart attacks was 7.79 per 10,000 person years in women, compared to 24.35 per 10,000 person years in men. High blood pressure, diabetes and smoking increased the risk of heart attacks in both sexes. However, their impact was far greater in women. High blood pressure increased a woman’s risk of heart attack by an extra 83% relative to its effect in a man. Type 2 diabetes, which is usually associated with poor diet and other lifestyle factors, had a 47% greater impact on the heart attack risk of a woman than a man, while Type 1 diabetes had an almost three times greater impact in a woman. 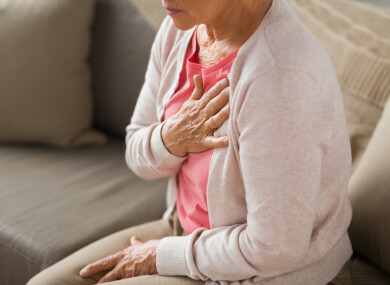 The authors believe that this study is the first to analyse both absolute and relative differences in heart attack risk between the sexes across a range of risk factors in a general population. However, they emphasise that it is an observational study, and therefore no firm conclusions can be drawn about cause and effect. “The presence of hypertension, smoking and diabetes were associated with an increased risk of myocardial infarction in both women and men, but with an excess relative risk among women,” the authors said. Women should, at least, receive the same access to guideline-based treatments for diabetes and hypertension, and to resources to help lose weight and stop smoking as do men. While the overall impact of smoking, high blood pressure and diabetes on heart attack risk decreased in both sexes with age, the greater risk these factors had on the risk of heart attacks in women relative to their impact in men persisted. “Rising prevalence of lifestyle-associated risk factors, coupled with the ageing population, is likely to result in women having a more similar overall rate of myocardial infarction than men than is the case at present, with a subsequent significant additional burden on society and health resources,” the authors warned. Email “Smoking and diabetes have a greater impact on heart attack risk in women than men - study”. Feedback on “Smoking and diabetes have a greater impact on heart attack risk in women than men - study”.